Access your web applications anytime and anywhere. To get an insight of how web applications function, read through our frequently asked questions for a clearer view. "What can I use my support and maintenance time for? (Website & Ecommerce only)"
Problem solving We help you troubleshoot problems and find bugs and errors on your website. We ensure your website functions smooth giving users a great online experience. Website changes We help update your website in tune with your business objectives and latest online search guidelines. We ensure your website contains fresh and updated content that engages and informs users. Content writing Our content experts create engaging, informative and search engine friendly content for your website. Optimisation If your website design is not customer facing it will not rank on the top Google pages. We help you with designing optimized websites that are properly structures and offer easy navigation driving more traffic to your website. Monitoring We constantly monitor websites scanning them for any possible technical issues and resolving them before it can affect your customers. Training We train you equipping you to get the most out of website design, online marketing and email services. Reports Stay informed with our detailed reports on the performance of your website and online marketing campaigns. Security patches We provide you systems with the latest security patches to prevent hijacking and malicious website attacks. Software updates We install software updates Software updates to install latest stable version of software. Backup and restore Check backup schedules and run test website restore. Database maintenance Check and cleaning database logs, optimise database, backup and restore. "What support options are available?" We offer the pay-as-you-go option making it affordable even for small budget websites to take up support and maintenance plans. With pay-as-you-go plans you get professional support services without the discounts applicable for monthly plans. Choose from our support and maintenance plans for hassle free website operation. Get discounts and bonus hours when you take up monthly support plans or make pre-payments. "What happens when I purchase a support package?" All we require from your end is your website login and details of technical issues you may be facing. You can then rest at peace while we carry out a detailed website audit, identify and troubleshoot issues and make the necessary changes and recommendations. Our friendly support team is available round the clock to answer any queries you may have over phone, email and chat. "Do my hours expire each month if I don’t use them?" The answer is No. Your support hours do not lapse at the end of a month and you can use them anytime during the life of your support term. For example if you sign up for a 6 month support , you can use your support hours anytime during the entire 6 month term. "What if I exceed my contracted hours in a month?" We do not penalize you for exceeding your contract hours in a month and you can use the support hours anytime within the entire 6 or 12 month contract period. Once you pay for our web support and maintenance service, you are free to use it according to your need at any stage during your entire contract term. You are notified once your allocated hours are used up so that you can decide on the future course of action.be notified once you use your allocated hours so that you can make a decision on what you want to do moving forward. "Is there a minimum contract length?" We offer web application support and maintenance plans for a minimum of 3 months. You can choose to prepay monthly for web application support plans. There is no lock in contract and you can choose to discontinue with a plan by giving us a 30 day prior notice. "Are there any bonuses if I pre-pay?" If you require continuous support and maintenance get free bonus hours by pre paying for 6 or 12 months of web application support. We offer our customers a bonus 10% of support hours with 6 months pre-payment and extra 20% of support hours with 12 months pre-payment. Below mentioned are details of total bonus support hours for the life of the term. "How can I reach the support team?" "What makes complete cloud different? 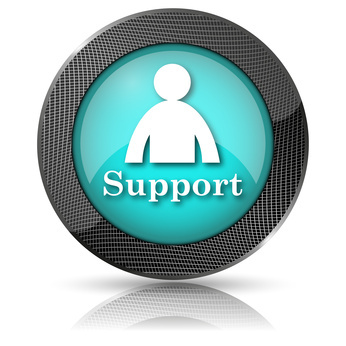 (Website & Ecomm only)"
At Complete Cloud Support our main focus is making your life easier. Our web application support and maintenance plans have been designed to intelligently resolve fire fighting website issues and get you back to your business super quick. Get in touch with us anytime using your phone, email, website support centre or live chat. We carry out a detailed audit your website and design a plan with solutions and recommendations for hassle free website operation. We offer you a single point of contact for any issues be it with your website, online store, email marketing or SEO. You need not sign up with different companies for support on different services. Sleep at peace with your website in our experienced and safe hands.